Roading infrastructure group Higgins have just opened their newly refurbished depot in Tavua after a new contract saw the number of staff located there swell from just three to 19. Higgins have just begun the new Roading Corridor Maintenance contract covering the northern part of Viti Levu including the towns Ba, Tavua and Rakiraki. After a fresh coat of paint and the installation of new desks, toilets and lighting, Maintenance Engineer Adam Lyall says the team have settled in and are working well together. 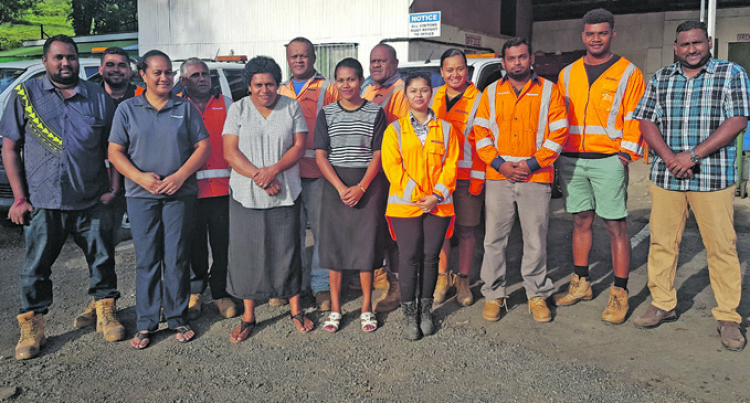 “We have pulled together some of the best local maintenance staff in the Western division to put a real focus on Ba, Tavua, Rakiraki and surrounding regions, he says. Mr Lyall says the experienced Higgins team have the technology, vision and tools to support FRA in maintaining a sustainable roading network for the longer term. He says the company also have specialised systems which provide top-level technology planning and support for Fijian authorities in times of emergency. Otherwise though he says the team are just happy to be working in the beautiful north.